The jailbreak community has been doing some amazing work. 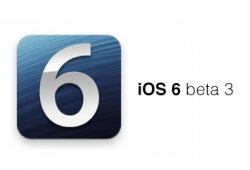 Just after Apple released the updated version if the iOS, the iPhone dev team has added support for iOS 6 beta 3 and now the jailbreak tool is available for your download. The latest tool not only jailbreaks the beta 3, it also adds explicit support to the iOS 6 Beta 2. This jailbreak is meant for the developers for fixing the bugs in their broken apps/tweaks. iOS6 beta 3 is currently available to registered developers of iOSdev Center only. The jailbreak is compatible with A4 devices only. If your phone relies on unlock, stay away from iOS 6 beta 3 and jailbreak. Now let’s get started with the process of jailbreaking the iOS 6 beta 3. Step 1: Download the latest version of the Redsn0w tool by the iPhone Dev team, make sure to get the compatible version for your OS ( Windows/ Mac) . Step 2 :Uncompress the contents of the downloaded zip file to a familiar location. Step 3 : Now download the iOS 6 Beta IPSW firmware in legally from the Dev Center, making sure that the downloaded firmware is specific to the device that you are trying to jailbreak. After downloading the firmware file, restore it on your device using Xcode or iTunes. Step 4 : now run the redsn0w executable file and select “Extras” from the main interface and then click on the ‘Select IPSW’ option. Step 5 : Now locate the iOS 6 beta firmware and select it. Step 6 : Now on the main interface of Redsn0w, select the ‘jailbreak’ option. Step 7 :Now you just have to respond to the on-screen prompts as the redsn0w tool does the rest of the work for you . All you need to ensure is that the device is in the DFU mode for following the steps on the screen exactly. Step 8 : After the DFU mode is detected by redsn0w, the software will complete the rest of the process automatically. Also, since it is tethered boot, if you restart your device or battery goes down, you have to boot it to the jailbreak state again, by simply plugging in the device , fire the redsn0w tool and click on Extras button and then click “Just Boot” . Now follow the on-screen instructions. Although, Cydia will not be installed on your phone you can SSH into your iPhone, so that it is a developer only version.